Have you ever come across a situation where you had to type a long text from your mobile and then you have thought of your PC where you could type very quickly? Well, now you will not face such a situation anymore. 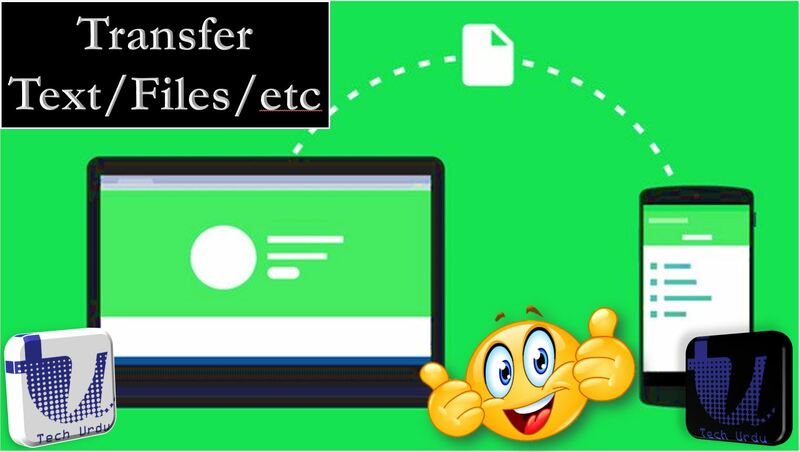 With Airforshare Android/iOS Mobile App, you can (Instantly) Transfer Text/Files/Photos/Videos between Phone to PC, PC to Phone, PC to PC and even Phone to Phone. Open AirForShare.com in any browser. Paste and Save text or upload file. Start AirForShare application on your phone – you will see your content (text/file, etc) immediately. We provide easy access to our service without passwords, cables, entering secret links or IP addresses and you don’t need to download and install desktop applications. Focus on sharing! Need to send long text message or contact info? Type it on your computer, drop to AirForShare, and copy to clipboard instead of typing on phone keyboard. Found great app and want to install it right away? Save link to AirForShare and open it from our application. Took a nice picture of your friends and want to share it with all of them? Find any Wi-Fi and upload it from the app, your friends may access your photo using any device or smartphone they have. All you need is to connect to the same Wi-Fi network. If you are at home or office you may be connected already and this step is not even required! Your content is available for 30 minutes since last access, it will be deleted once expired automatically. Any person connected to the same router may grab your data – please do not share important private information like passwords or credit card numbers unless you’re using a Private Mode. There is a 5MB limit/2 Files at once in the free version. With a Premium plan, share files with no limits and use Private Mode. Or create a free account and extend your limits to 10MB/5 Files at once. ← How to Report Fake Accounts and Bots on Twitter?